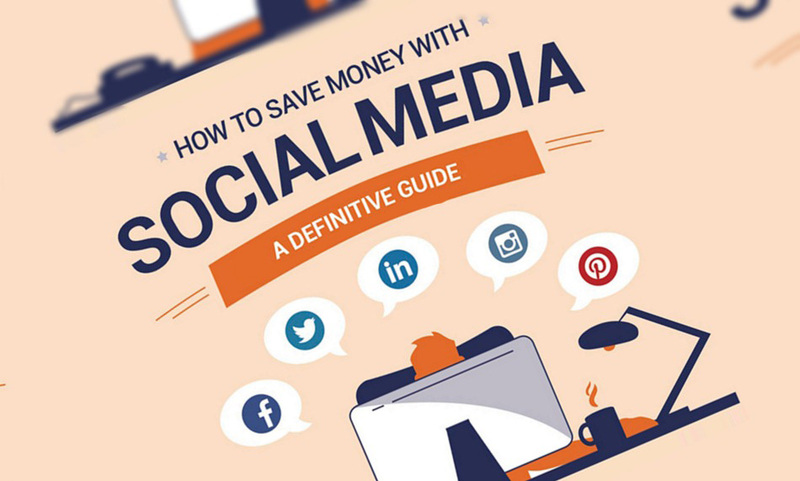 Despite the proliferation of get rich quick schemes on the internet, social media is actually a superb place to practice frugality. The infographic below, created by Companydebt, aims to capture some of the best ways it can help savvy savers live as cheaply as possible, find the latest deals, and even learn new skills which can save the need for hiring a professional. By searching as cleverly as possible, you can find goods and services at the most competitive prices in the world, coupon codes for virtually anything, or even freecycle-type sites where ecologically minded folks simply give things away rather than dumping them in a landfill. What’s exciting about the social web is the connectivity it brings with it. Whatever your interests, there’s a group out there which shares them and, in these challenging economic times, saving money is a virtually universal focus! Many Facebook groups that have formed around specific interests, e.g parenting, are ideal places to get hand me downs and freebies. The real-time nature of Twitter is ideal for finding instant coupon codes and hashtag deals. And there are even cashback sites now which reward those who spend through them with immediate cash back deals. Social media accounts, in themselves, are free to use. So the first step is to identify the right social platform for the area you want to save money on, and the second to find the niche groups within that which are local to your area, or relevant to what you’re purchasing. Social media can be useful to contact the customer service of your major service providers to either complain (which can offer yield discounts), or to negotiate better rates. Because it’s largely an open forum large companies are now fanatical about their public image so will go to huge lengths to maintain a positive review profile.